It's not just any t-shirt, it happens to be the t-shirt. You know, the t-shirt that's just so smooth fitting, perfectly relaxed and still cocky. Never mind it's the wrong dude on the print. It is just awesome. 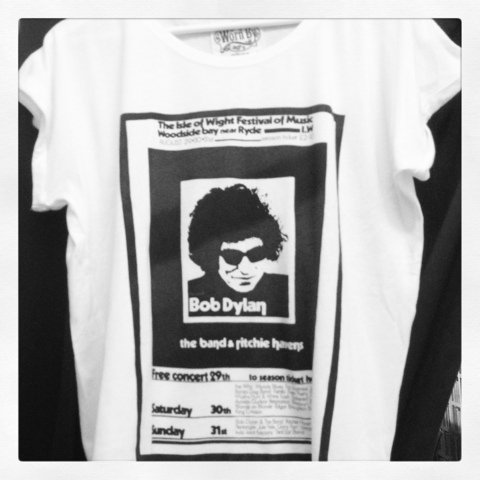 Actually, I think it is pretty hilarious that I'll go to a Springsteen concert in a Dylan t-shirt. The t-shirt is from the brand Worn By and I bought it at Elin Maria Boutique.